American artist Charley Harper is one of my favorites in terms of style. 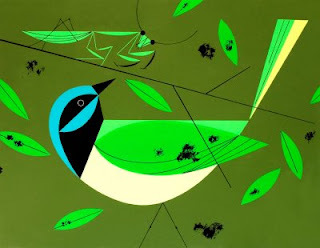 His slightly abstract nature scenes are very simple and geometric, making it easy to find emphasis in the picture, or showing what's important. 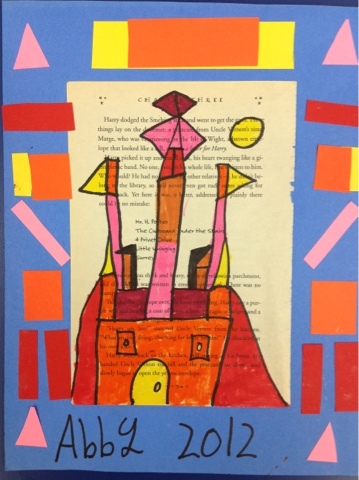 Our 3rd grade collages were inspired by his geometric, sparse style. 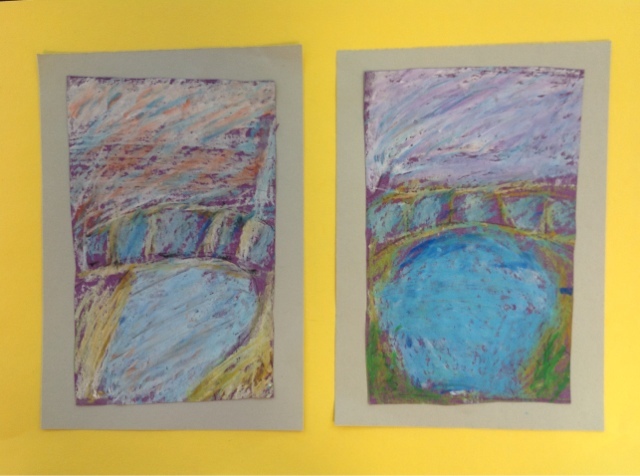 We created space in our art by overlapping, using a horizon line with high and low placement on the page, and size variation. 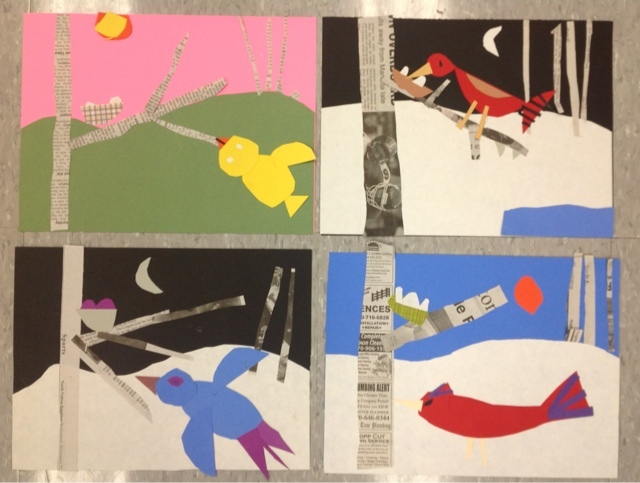 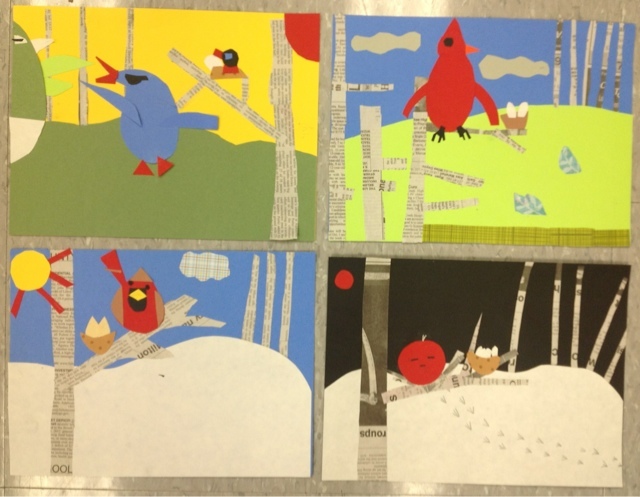 We incorporated visual texture by using newspaper to represent the black and white texture of birch tree bark, and scrapbook paper to represent the textures of feathers and nests. 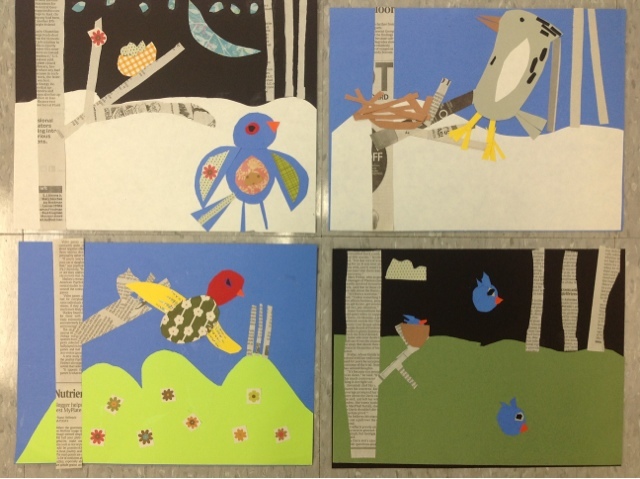 Once our collages were complete, we also looked at the realistic bird paintings of John James Audubon and compared the two styles. 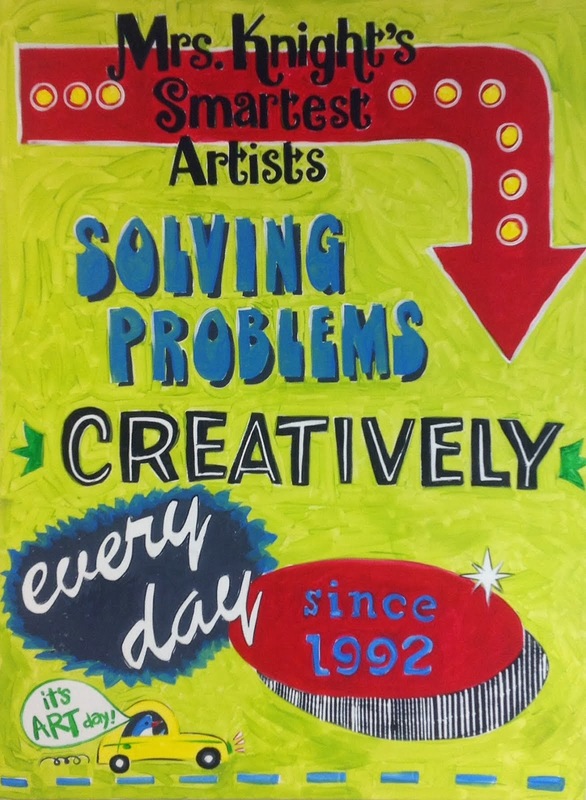 This is a wonderful lesson each year in that each student finds success, and each has a unique quality. 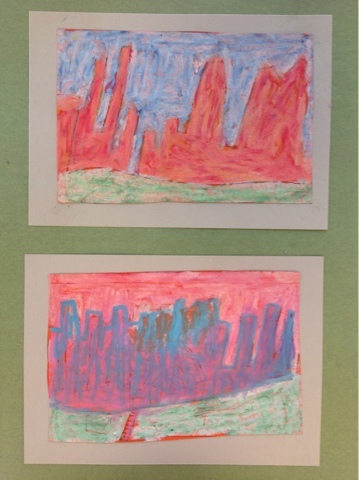 As an introduction to landscape and space, kindergarteners learned what a horizon line is and what goes above and below it. 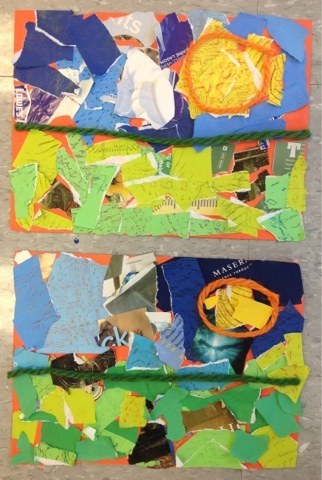 Each class collected green, yellow, and blue papers from magazines, raided the scrap boxes, and we also made some texturized papers ourselves. 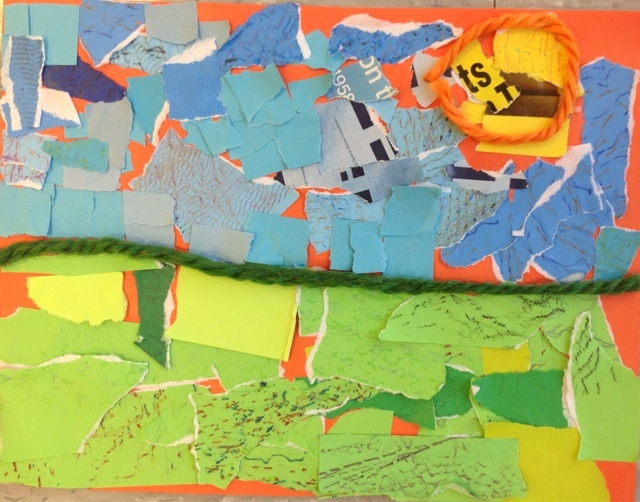 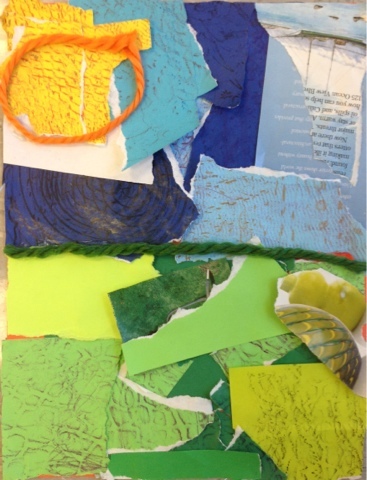 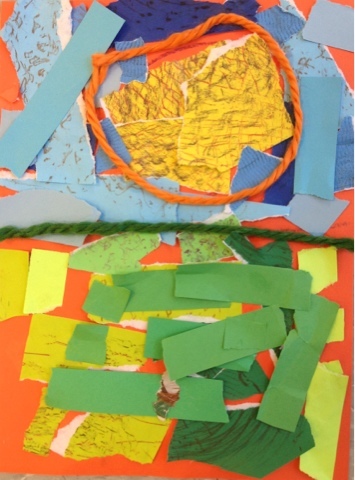 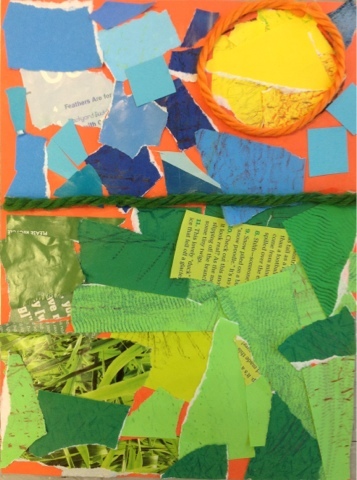 We carefully collaged the torn papers to create a sky, a sun, and a grassy field, and defined the areas with a length of thick yarn. 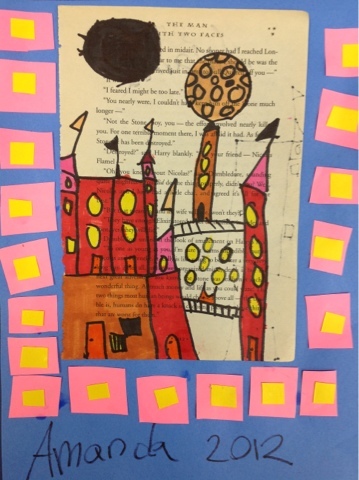 I was inspired to create this lesson by a similar product over at Dali's Moustache. 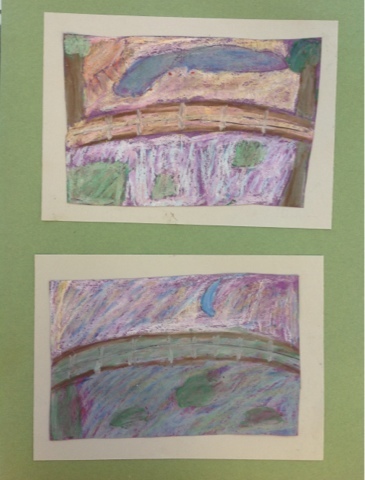 I just love the results, and it was successful for all students : ) Next up, taking landscapes a little further with Grant Wood style pumpkin farms! 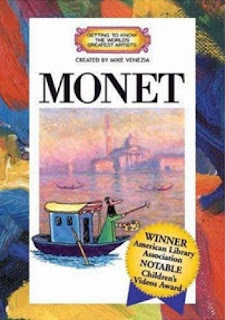 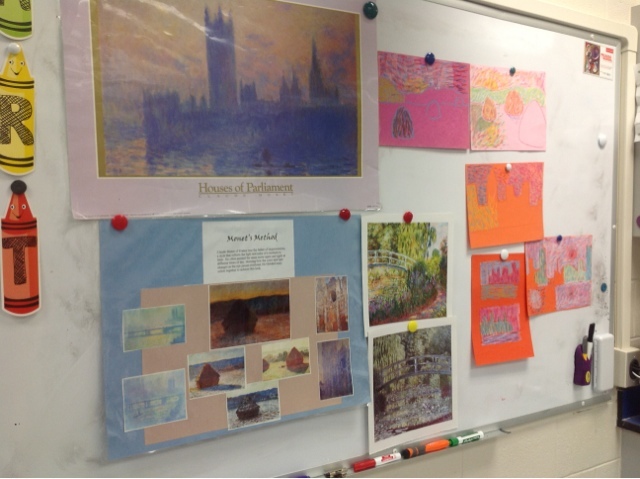 Monet's method of creating multiple views of the same settings has been a staple in my teaching since my first year. 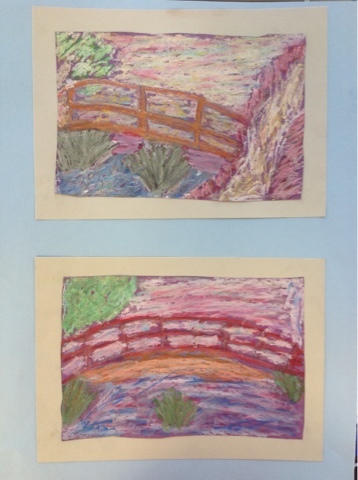 Fifth graders enjoy learning how Monet and his Impressionist friends show the changes in the colors of the landscape as the light changes, and as the seasons change. 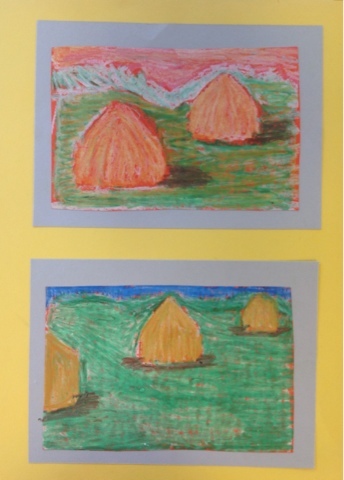 Part of our curriculum involves creating thumbnail sketches before a final product, and most years I am more smitten with these tiny sketches than the final paintings, so this year we chose two to mat, and present the pair of minis as a final product. 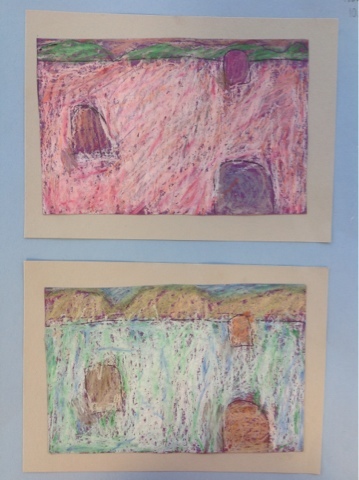 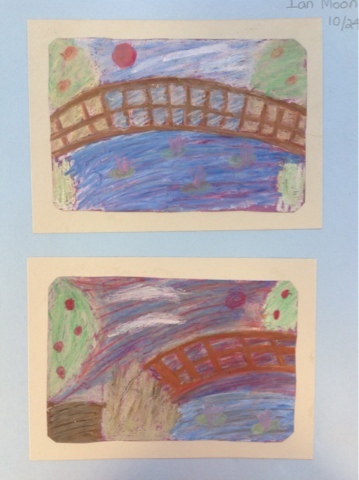 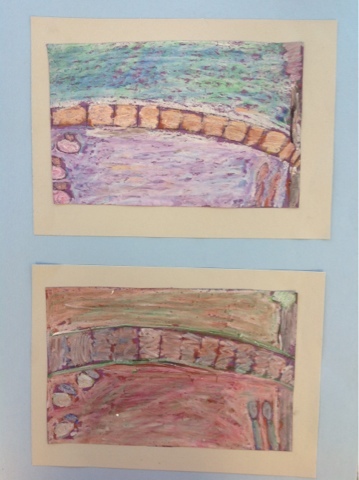 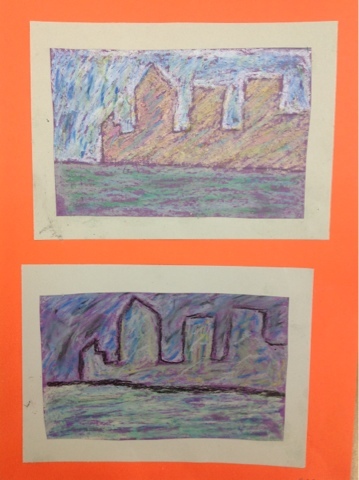 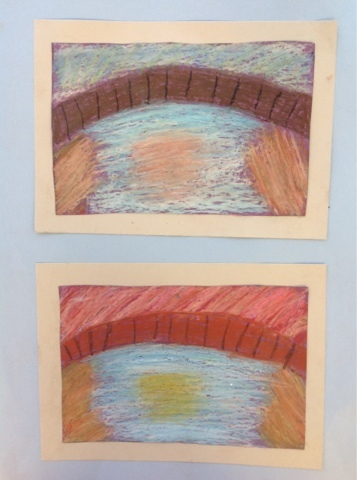 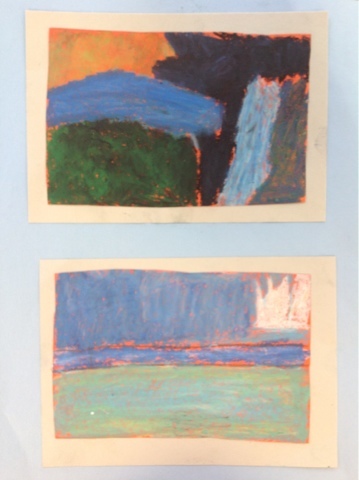 Students chose a traditional Monet theme, such as haystacks, the skyline over the river, or waterlilies, and then visualized them in two different times of day. 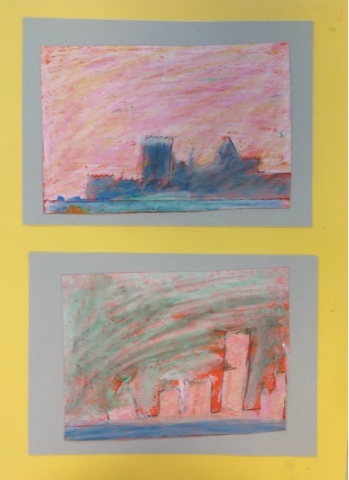 Each image is 4x6" and is made with dashes of oil pastel, blended with a neutral color over the top. 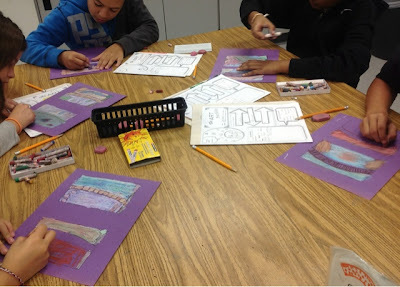 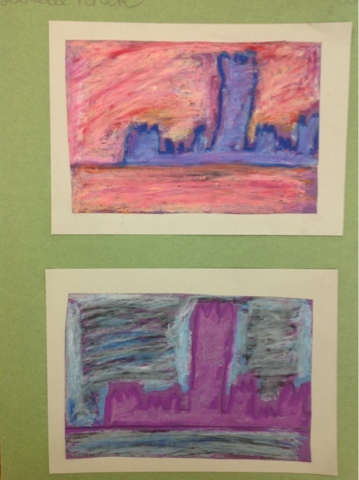 Lastly, we sampled and selected background colors that made our pastel scenes glow. 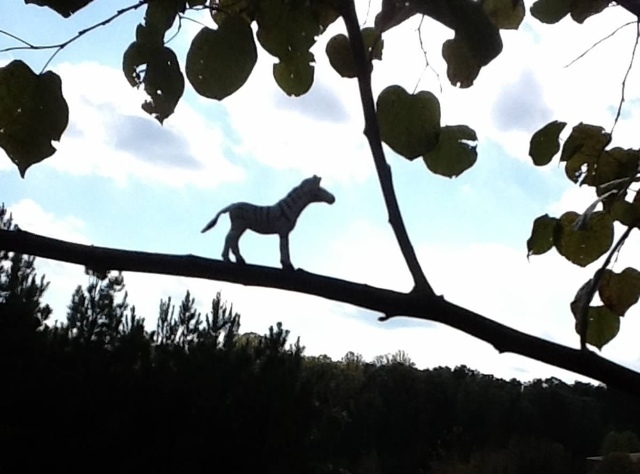 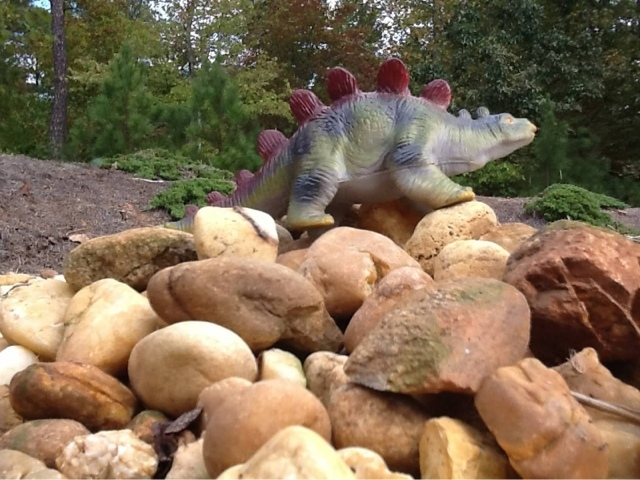 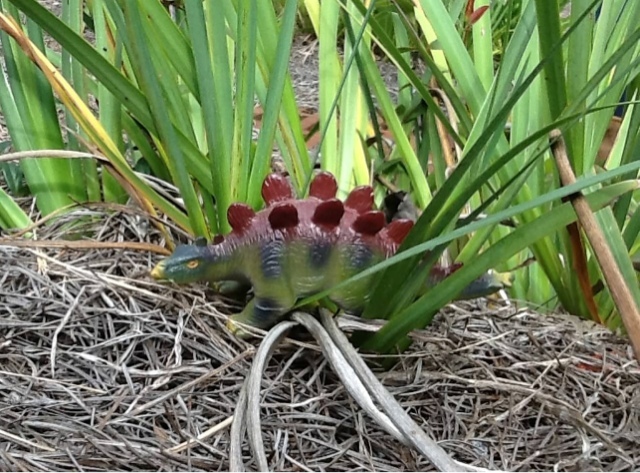 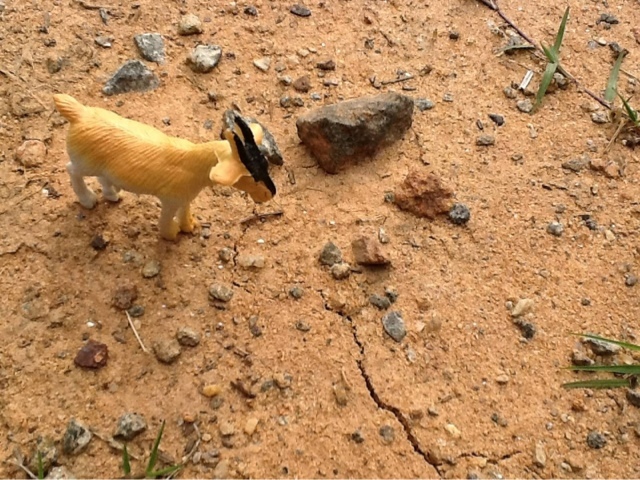 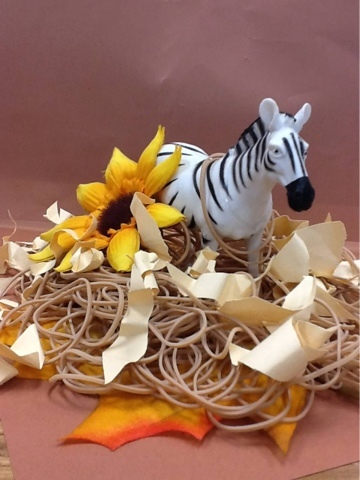 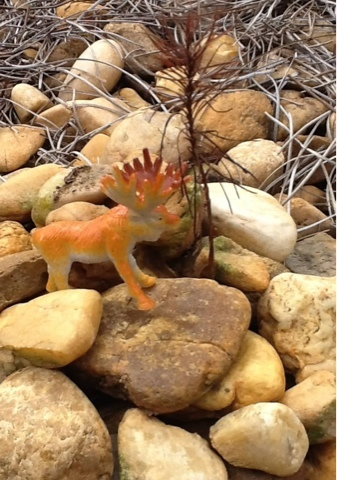 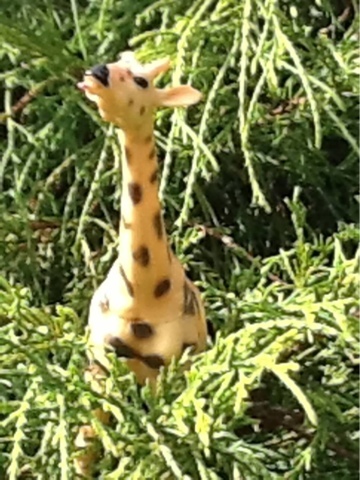 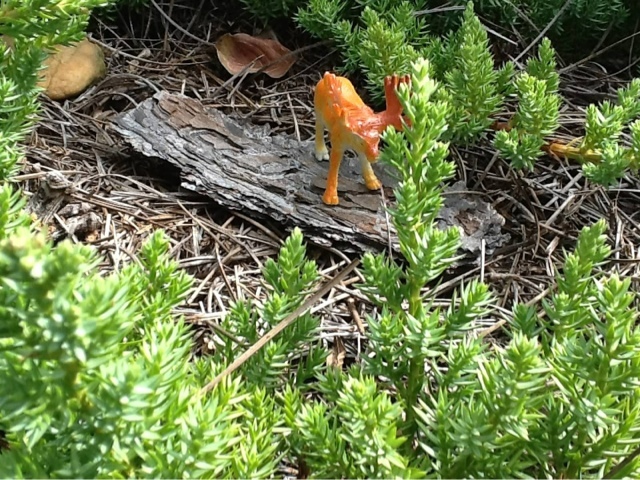 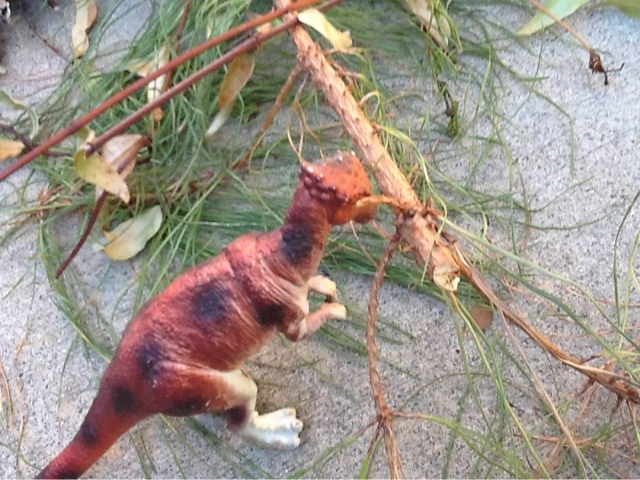 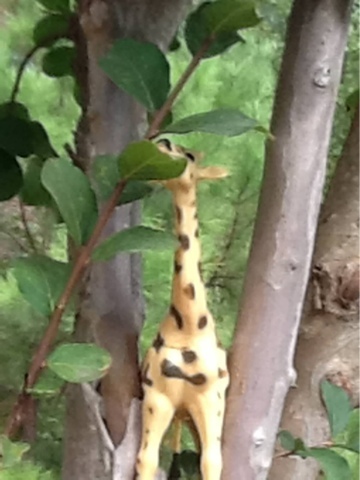 5th grade photography club members had much fun creating man made and natural environments for our plastic toy animals, using our cameras to create settings as if these were full size animals. 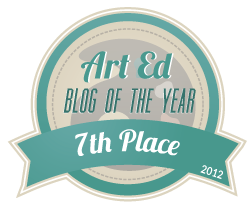 Thanks to New City Arts blog for the idea - I read about their project a year ago and have been excited to give it a go. 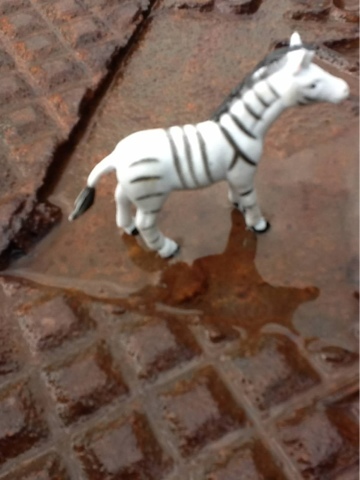 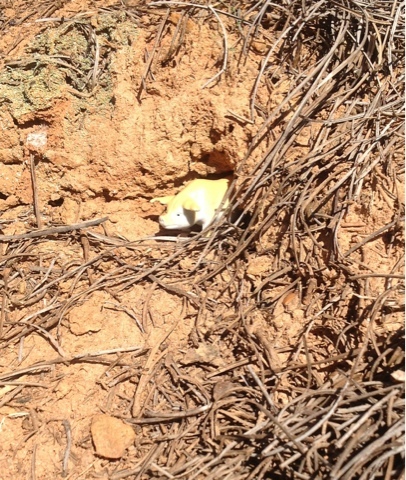 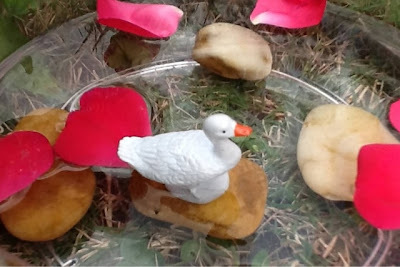 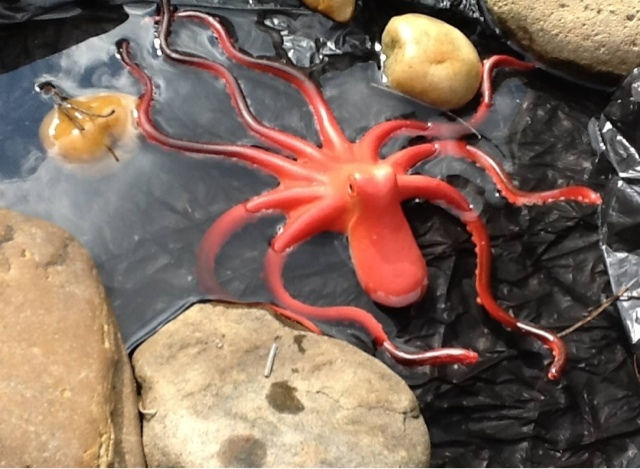 We began with man made settings in class using a variety of materials, then we took the animals outside and focused more on point of view to capture a realistic look. 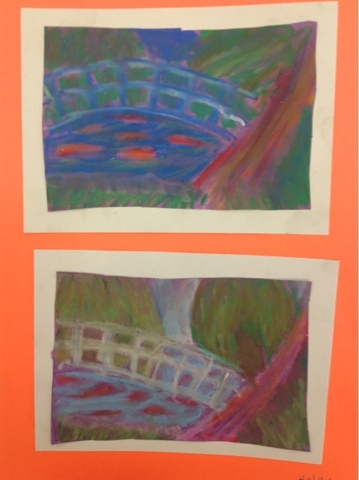 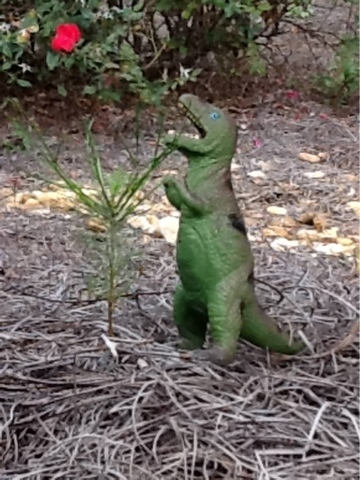 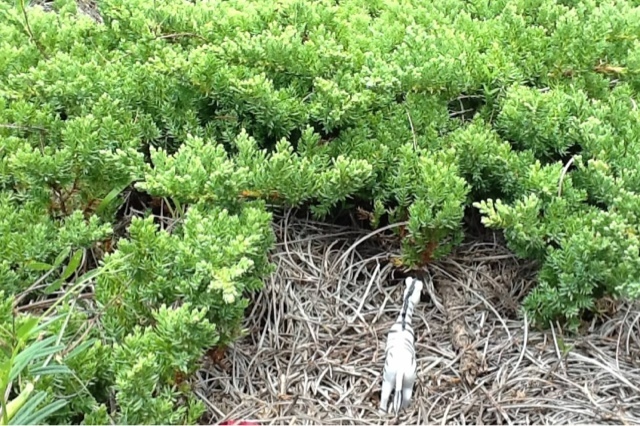 We used our iPad 2's for taking the photos and cropping them. 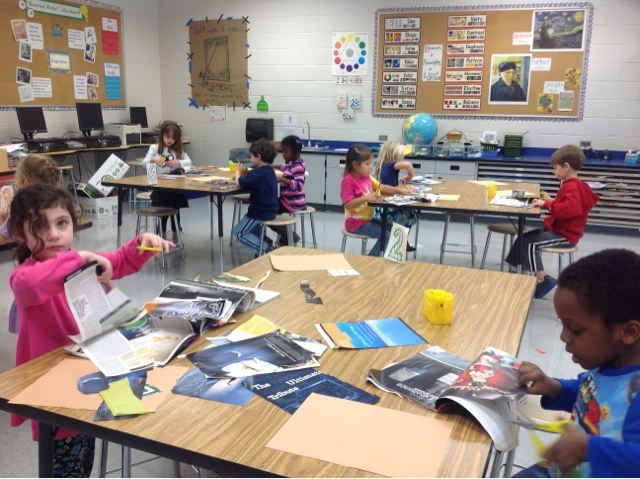 Today we learned how to upload to Shutterfly! 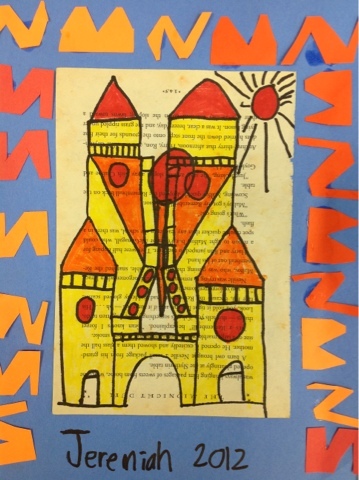 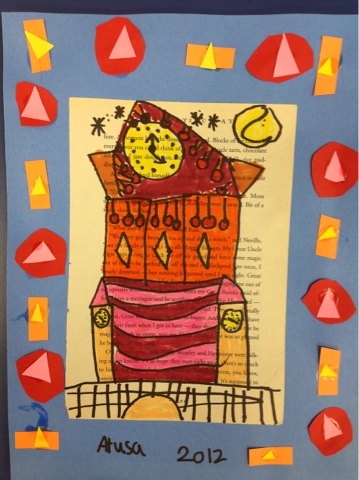 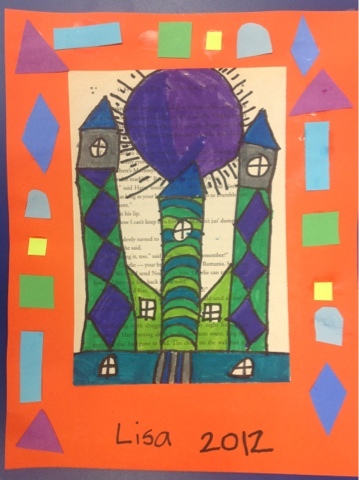 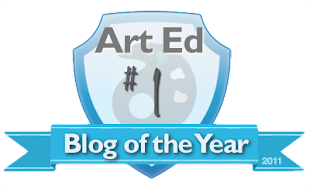 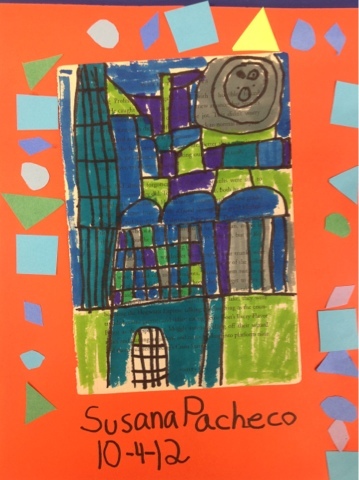 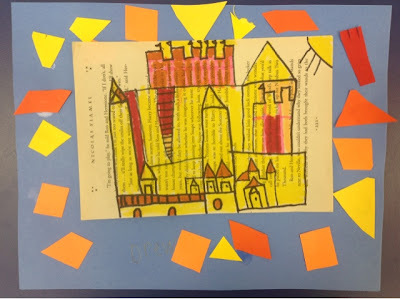 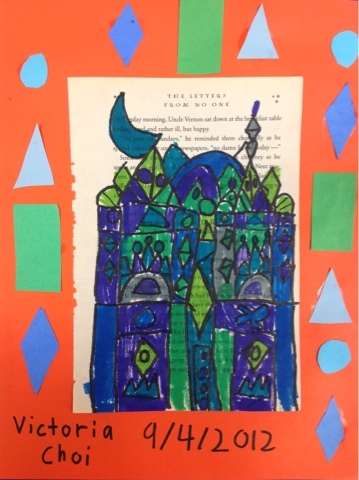 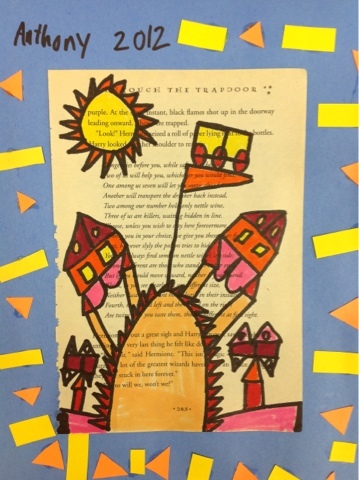 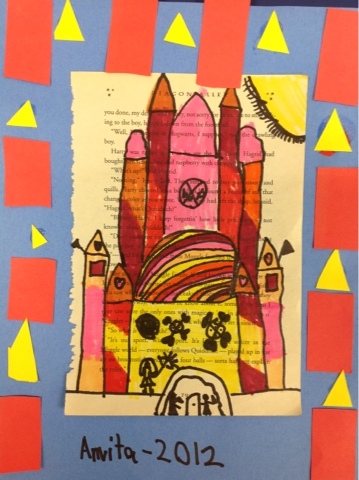 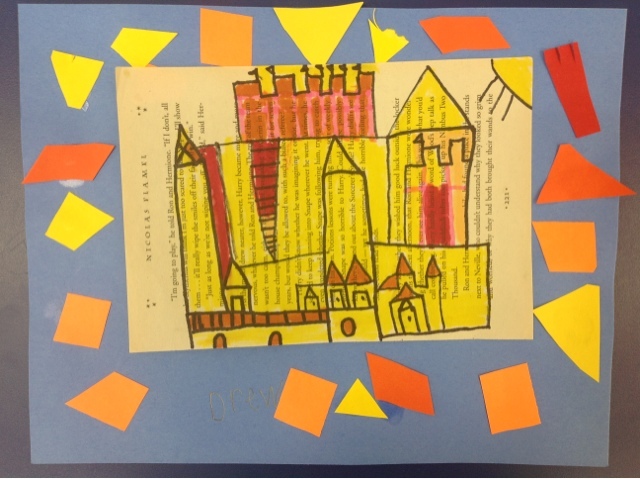 Paul Klee's "Castle and Sun" was our jumping off piece for this lesson - thanks to this blog, arteascuola, for the idea (and several others I pinned from you)! 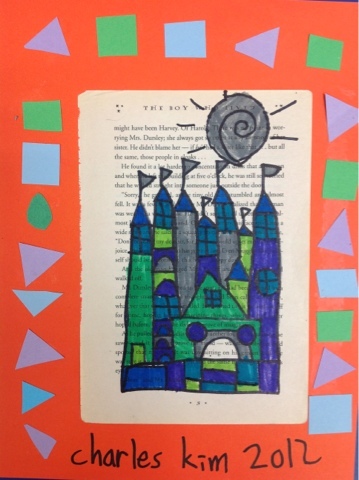 Castles were great subjects to be drawn on book pages, since so many stories are set around a castle. 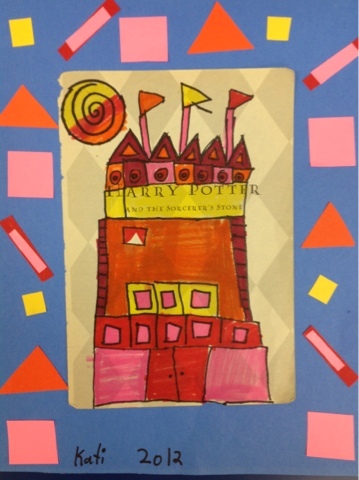 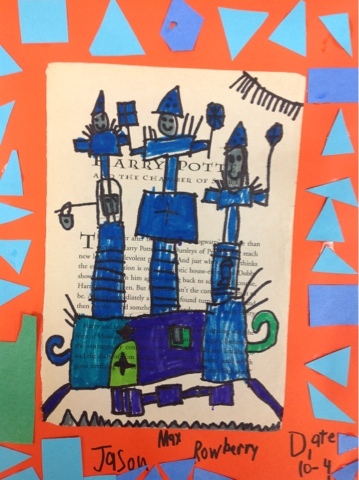 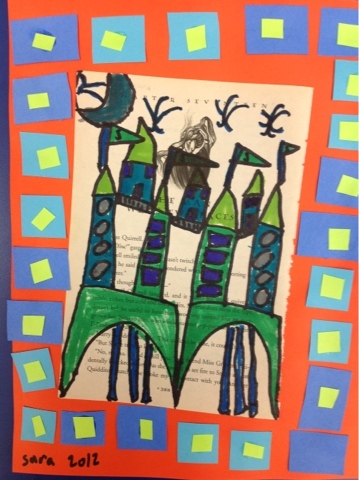 I have been collecting damaged books for upcycling, and the second graders were excited to use Harry Potter pages for this lesson. 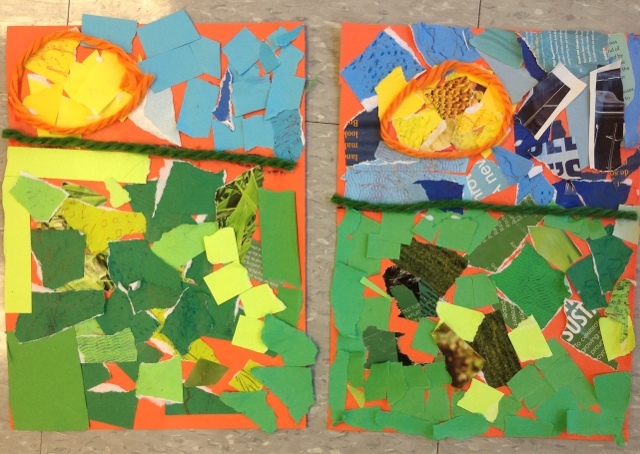 Students made 3 compositional choices: page layout, type of balance (symmetrical or asymmetrical) and warm or cool color scheme. 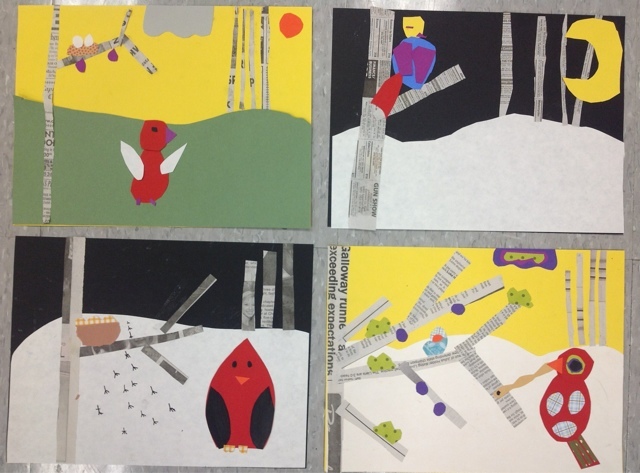 We finished off the designs with a geometric pattern border and a pop of contrasting color.